Disclosure: As a Purex Insider the Dial Brand provided me with a sample of this product in exchange for a review. All opinions are 100% mine. If you follow me on Facebook or Instagram, you may have noticed a picture of the New Dial Coconut Water refreshing mango body wash in my feed.As a Purex Insider I occasionally receive a new product to try. A few days ago a box arrived on my doorstop. I was very happy when I opened the box, and saw that I was sent their newest coconut water hydrating body wash. My skin tends to be a bit on the dry side as I am getting older, and have issues with my thyroid. I look for anything that helps me keep my skin healthy and moisturized. As soon as I opened the bottle, I noticed the wonderful scent. There are hints of coconut and fresh mango, that makes you feel like you are on a tropical island. The coconut water is rich in antioxidants and electrolytes which hydrate the skin. Immediately I could tell a difference on my own skin. It really does feel less dry even several hours after showering. I really love this body wash and how it makes my skin feel. Everyone else in the family loves it as well, so it looks like we now have a new family favorite. 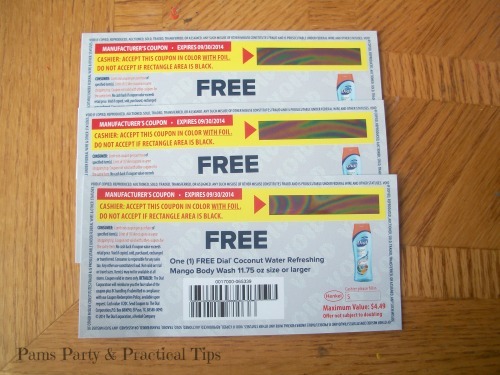 Along with the sample of the body wash, I was also sent three FREE coupons to share with my readers. If you would love to feel hydrated on a tropical beach be sure to enter the give away below. I love the scent of mango...sounds fantastic! Sounds like it will smell lovely! I like mango and coconut, sounds good to me. Excited to try it! I know I will love the fruity scent! The scent sounds pretty good. I think I'd like the way it feels and the smell! All of the Dial soap products that I've tried have made me feel clean which I think is most important. I bet this one smells great! Thanks for the opportunity to try it. I think I'll love the tropical scent! 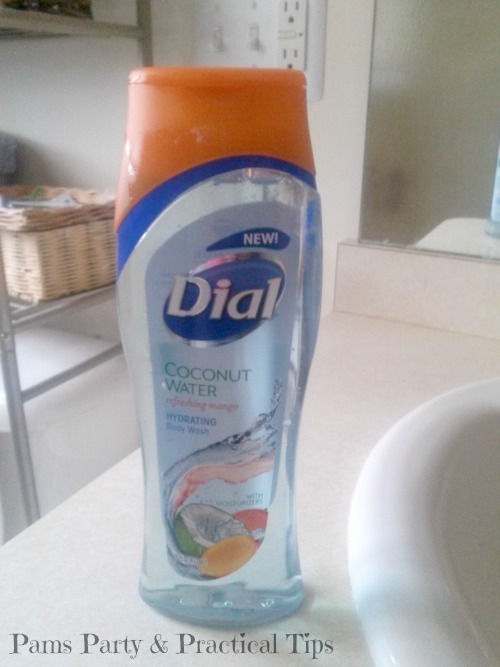 I love Dial and they new scents! Takes me on a mini vacation.